Last week, the territory of Nagypáli (Hungary) won the E.ON Energy Globe Award in the municipality category, rewarding them for their efforts in sustainability. Nagypáli started the “Green Road Village Development Programme” twenty years ago. As a result of the programme, today almost all forms of renewable energy are displayed in the center of the village: emerald trees, hybrid power plants (wind and solar), photovoltaic solar panels, electric cars and electric filling stations in the village. The next step is a biogas plant which is currently under project management. This unique programme encompasses residents and elected representatives that are doing their best to be the more sustainable possible. La participation des citoyens pour l’élaboration des décisions publiques ayant une incidence sur l’environnement s’outille suite aux réformes de 2016 sur la consultation locale et les procédures de participation. De quoi parle ces réformes ? Quelles sont les nouvelles obligations légales ? Et surtout quels sont les outils à disposition des collectivités pour les mettre en place ? La DREAL Bourgogne Franche-Comté en lien avec l’Institut de la concertation et de la participation citoyenne (ICPC) et FNE BFC “Plateau Débat public” organise une journée dédié au sujet intitulée : “Pas de transition écologique et solidaire sans pouvoir d’agir ! De nouvelles règles pour de nouvelles pratiques ?”. RURENER était présent et vous propose de partager son Compte Rendu de cette journée passée en compagnie d’acteurs d’acteurs associatifs, de collectivités territoriales mais aussi du commissariat général au développement durable et de porteurs de projets privés comme SNCF Réseau et EDF Energies Nouvelles. Then, the two diagnoses are crossed in order to interlock energy transition and local dynamics. It allows the territories to understand the link between final user needs and local resources. This analysis is then used to make prospective scenarios by evaluating local potentials such as renewable potentials (solar, wind, hydro…) and by implementing local energy policies and projects integrated to local dynamics. This part of the scenario is all about planning what will be developed and when, while identifying local stakeholders. Then, we provide help for territories to understand and identify the financial levers that are available to support their projects. • Job growth due to energy transition: Energy transition is a great employment vector in many fields: refurbishment, renewables, monitoring, maintenance… The tool to complete this indicator makes scenarios of job creation over a 2050 projection. It includes direct and indirect jobs and deducts the destroyed jobs. This tool is only available in France at the moment and is based on national studies that are used to build projections. • Perception survey of local energy transition policies: the goal is to measure citizens’ perception and level of awareness of local energy policies. It is fundamental to involve citizens in the energy transition and this indicator will evaluate the level of involvement of citizens and thus give information on how to best engage the dialogue for an inclusive sustainable local development and reinforce social cohesion. • Avoided GHG emissions: any action being part of an energy transition approach contributes to lowering the level of emissions in our atmosphere by being cleaner and greener. Avoided emissions are the difference of GHG emissions between a renewable and a fossil source of energy for the same final use. Contribute with us to the European Sustainable Energy Week! You are all warmly invited. We want this event to be your event too, so tell us about your insights and the subjects you would like to discuss by commenting this post. All constructive contributions are welcome, don’t miss this opportunity to bring up your questions and achievments directly to Brussels. If you are not able to make it to Brussels no worries, the session will be recorded and displayed on the website. 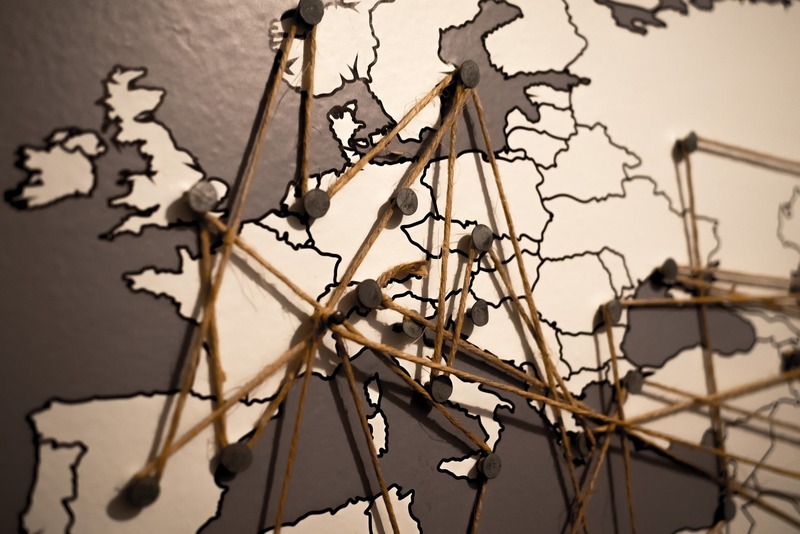 How to link the European policies to local actions? 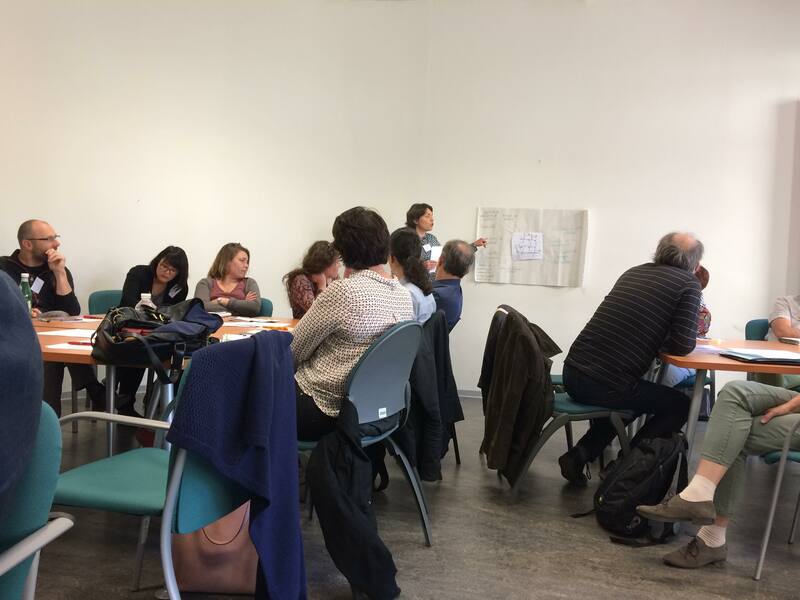 Not so easy of a task but through the European Countryside Movement (ECM), RURENER is taking part in the European platform working at the European level to promote policies and tools for the integrated development of rural areas. In response to the first official draft of the CAP reforming process under the title “The Future of Food and Farming” by the European Commission, the ECM published a communication entitled “What implications for rural development?” (for French: MER-Com2018-1-FR). RURENER is very much in line with the increased effort to combine agricultural practices with climate action, mentionned in the European Commission document and confirmed by Mihail Dumitru (DG Agri) last Monday 19th of March during an event on “Funding the integrated development of rural territories”. On January 30th, 31st and February 1st, took place the European Days for the Energy Transition in Geneva, Switzerland. Historically organized in Dunkerque and Bordeaux (alternatively), the meeting took place in Geneva in 2018, opening the circle. A very dense programme for the 3 days event opened with plenary sessions on national policies in France and Switzerland under the theme “cooperate to undertake the energy transition”. What are the stakeholders of the energy transition? Where to invest for the transition? A comparative approach between France and Switzerland outlined two national roadmaps with a common objective of reaching the Paris Agreement goals. While Switzerland is a federal state (divided in “cantons”) with a lot of power at the state level, many grid operators for electricity and a strong dialogue with the citizens in the “canton of Geneva”, France is focused on a national approach with one main grid operator (Edf) and difficulties to include the diversity of local stakeholders and contexts. During the event, workshops were organized to discuss specific subjects such as remunicipalisation of energy, social acceptance of local mobility policies, citizens’ action through energy cooperatives, indirect emissions of local public policies, etc. A rich array of European projects where also presented to illustrate current innovations and initiatives in urban and rural areas. Finally, the Citergie awards were attributed to pilot territories. The European Days were concluded by a discussion between policy makers from Europe (Germany, Italy, Spain) and beyond (Morocco). The discussion highlighted that there is no ideal way to achieve the transition but rather million different ways and they all have strengths and weaknesses. The political decisions at the national and European levels must give the framework for climate action but action comes from the ground, the territories, you and me. So let’s roll our sleeves up and take action because the world is not waiting on us to warm up! 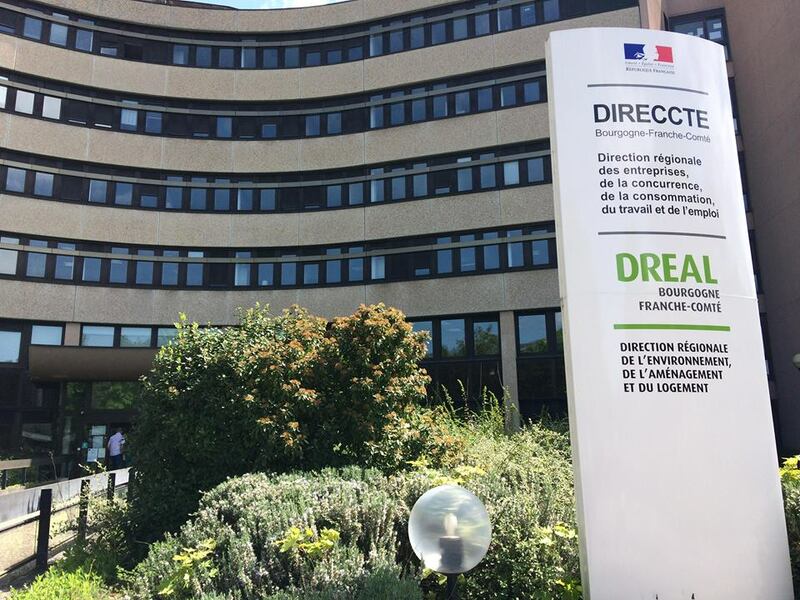 Large investment programme in France to benefit rural areas? The French government is launching its 3rd PIA “Programme for Investing in the Future” with a call for expression of Interest last September to prepare for the call for proposal that will be open during the third term of 2018. The Call for Expression of Interest received more than 110 candidates and 24 were selected to receive 400 000€ to conduct feasibility studies (up to 50% funding) and strengthen their applications for the Call for projects in a few months. Among the 24 laureates for the EoI, the project HAPPI (stands for Hub to Support Innovative Partnership Project) Montana coordinated by Macéo was selected. It gathers about 80 partners from urban and rural territories in the French central mountain range (Massif central). The goal? Boost and spread innovation in mountainous areas to fasten the development of the region and France as a whole. As partner, RURENER will be involved in facilitating territorial dialogue on energy project, and increase the dissemination of the experimentations in greater Europe. An ambitious project benefiting from a fantastic energy! Before you read this, go take a look at the report of ENER’Cyprus, RURENER 2017 General Assembly (especially if you missed it)! What are the main conclusions for 2017? RURENER current project “2017 Year of Innovation for Rural Energy” is under progress, the four actions are developed in France for now and will expand to Europe in the coming months. New cooperation projects are being developed though the Interreg SUDOE and H2020 European programmes. 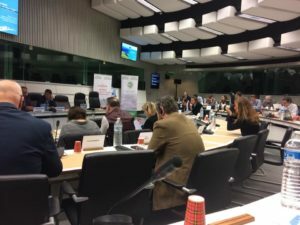 RURENER strengthened its connection with the European Countryside Movement (ECM) in Brussels to reinforce its lobbying action for rural energy. RURENER is fully supporting the writing of a European Rural Agenda, as promoted by the RED (Rurality Environment Development) and the ECM. Complementary to the current Urban Agenda, the Rural Agenda will be in favor of an integrated sustainable development of rural territories in their diversity. As such, it will help rural territories to get recognition at the EU level for their role in European challenges we are facing today: recognition of the great potential of rural territories for production of renewable energy, promotion of local resources and value chains, re-localization of the economy for a tailored answer to climate changes. The Rural Agenda will strengthen cooperation within the rural context, cope with the imbalance between urban and rural areas and explore the synergies of these poles: decentralized energy production at local levels, outreach of urban innovation centers to support rural innovation, development of cleaner transports and digitized solutions and much more. For all these reasons, RURENER is strongly in favor of a European Rural Agenda, a necessary tool for a transversal approach of rural (but not only) development. 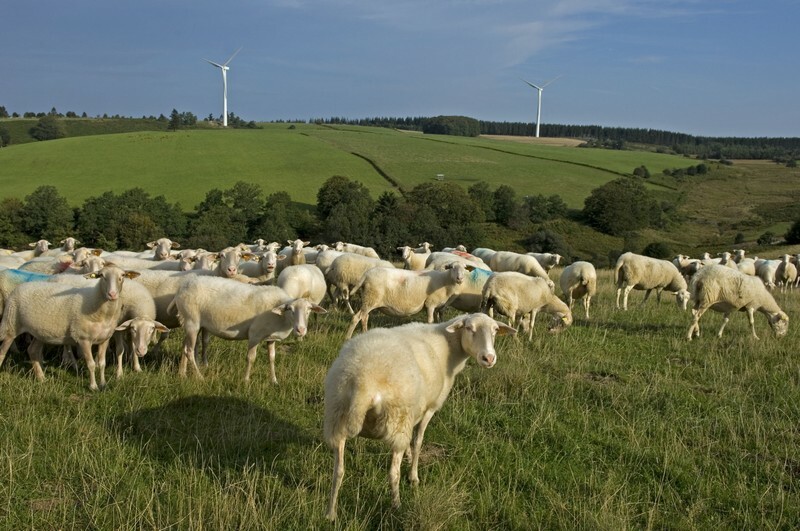 In 2018 we will continue to support rural territories developing their energy strategy towards the energy transition, we will continue to develop tools to facilitate the transition, we will continue to be a bridge between rural energy stakeholders across Europe and enhance cooperation between them and, of course, we will continue to bring rural innovations up at the European level. In 2018, the RURENER will also be growing with the recruitment of two new interns to help us turn ideas into actions. 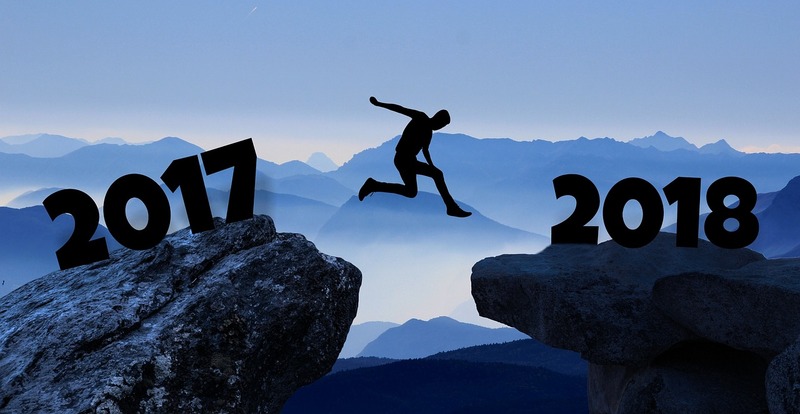 To make a long story short, in 2018 it will be: new projects, new services, reinforced communication, strong cooperation, and a lot of human energy and enthusiasm! A brand new year has just begun, and we hope that you are all making good resolutions to develop rural renewable energy production, improve energy efficiency, encourage energy savings and involve everyone around you in the great journey of the energy transition. Supporting you, municipalities, networks, organizations, cooperatives, local businesses and other rural energy stakeholders, to achieve the energy transition, is our resolution at RURENER. In order to do so we will develop more services, build new projects and continue to connect stakeholders from all over Europe to grow together in a sustainable way. Come along and seize the opportunity of the energy transition for rural development! Happy 2018, may it be rich in innovations, experiences and exchanges.